Born Trevor Ireson on 9 March 1944, Aston, Birmingham, Burton started playing guitar at a young age and by 1963, was leading his own group called The Everglades. In 1964 he joined Danny King & The Mayfair Set, along with Keith Smart formerly of The Everglades (drums), Roger Harris (keyboards), Denis Ball (bass) and vocalist King. Burton was a founding member of the 60’s chart topping band The Move (see under artists), and was with them from 1966 to 1969. After a short break, Burton formed the band, Balls (see under artists) with Steve Gibbons of The Uglys (see under artists) and Denny Laine formerly of the Moody Blues (see under artists) and Allen White from The Plastic Ono Band. After the split with Balls in 1971, Burton spent the next few years as one of the top session musicians with Island Records. Burton returned to his hometown of Birmingham to work with Raymond Froggatt until 1976 before teaming up with close friend Steve Gibbons again, to enjoy chart success with the Steve Gibbons Band. The group enjoyed a hit single with the Chuck Berry song, ‘Tulane’ and toured America extensively. For the next 7 years Burton continued to tour the world with Steve, leaving in 1983 to form his own band playing his unique style of blues. They started performing twice weekly at the Red Lion, Sparkbrook, Birmingham with a line-up including sax player Steve Ajao. In 1985 the band recorded an LP entitled ‘Double Zero’ featuring Stuart Ford (slide guitar), Crumpy (bass), Tony Baylis (drums) and Ben Annon (percs). During this time, Burton teamed up with Robert Plant of Led Zeppelin as one of the Journeymen Musicians, joined The Big Town Playboys UK and Europe, performed shows with Noel Reading and spent 9 months on the road with Dexy’s Midnight Runners. In 1995, Burton called on Maz (Marjusz Matrenko) and former ELO keyboard player, Richard Tandy to join the band. A few years later in 1999, Burton asked Bill Jefferson (Drummer) to join and in February 2000, a local band ‘4 On The Floor’ split and bass player Eddy Moohan also became an additional member. More recently, Burton joined former Move drummer, Bev Bevan on tour in 2007. 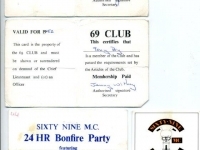 Thanks Martin for your corrections, can you share more of your experiences with the archive? Journeymen line up was jim hickman , katie pereira vocals , trevor burton guitar and vocals, martin curley guitar, john bates keys, steve dolan bass, tony baylis drums and a three piece brass section from the red lemons . Originally put together for sax player billy paul,s benefit concert at brum town hall with steve gibbons , ruby turner and curtis little bands , that first line up had mike sanchez on keys with nick pentalow and steve ajao on saxes. Micky lavender was also a one time member on keys. I spent twelcce great musical years in the trevor burton band on drums , other members at varios times included doug dennis , stuart ford , ben annon, martin curley, trevor crump, steve clayton and billy paul , some of brums finest ! Just a quick correction to the birthdate entry for Trevor, born in ’49 not ’44 and (I think), Ireson, not Iresin. I shared a desk with him at Upper Thomas Street Sec Mod for Boys (the roughest school in Brum at the time). Hi Curley, Hi Tony and y’all. I was the keyboard player for The Journeymen during the Adam & Eve and Robin era [yup, I can nearly remember the gigs :)]. A couple of bits of info – ‘Roy’ the guy at the back of the Adam doing the sound was Roy Williams – ex booker, manager and super sound man. Started at JB’s [back of Pathfinder] – until about a year back he was Robert Plant’s sound engineer [long service award pending] but now I think he just doing Seasick Steve. 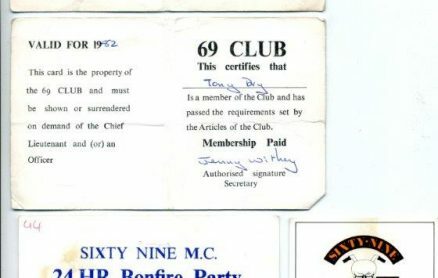 Tony Crump…. last seen about 12 months back at a gig… he said he was living in Redditch. MC – so pleased to read that you are settled and happy. I always loved the music. As a Brummie I was so proud when the move made it. Followed Trev ever since and used to go to the adam on a sat night. Tony, Mr C, Martin, and steve was my fave line up. Recently I joined an old age pensioners coffee morning in Shirley. Got chatting to a lady who said “my son in law is in a band” turned out it was Trev! She was the widow of JB. Last time I saw Trev was at the hop pole in bromsgrove. He puts his heart and sole into every performance whether there are 10 or 10,000 there. 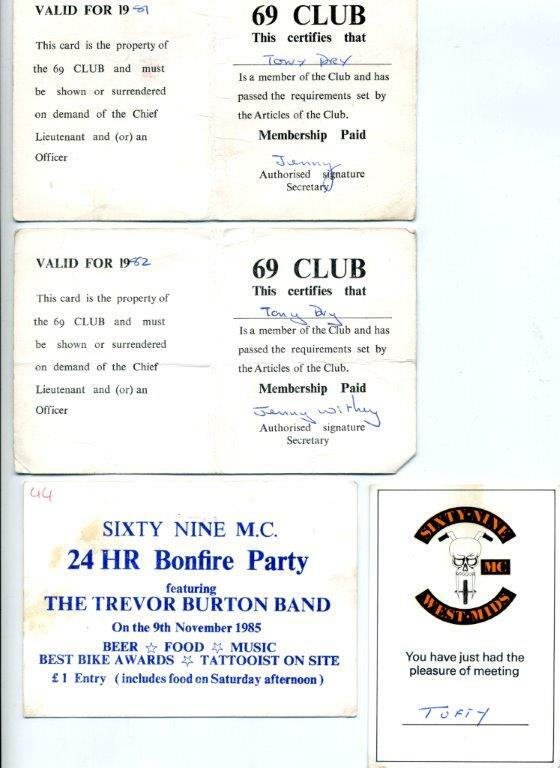 Does anyone on BMA remember this gig ?, photo of ticket might be useful if you want to post it, I was member of 69 club in those days, long time back now though. I can’t delete the cards in pic but maybe you can scan it in. Great reading all your tributes and reminiscences – I’m sure if my dad could get his head round the Internet he’d enjoy them too. I think between you you’ve straightened out all the facts (as far as a bunch of drug addled old muses can – I think even dad would struggle to put together an accurate chronology of his life) – it’s definitely ’49 and not’ 44 (unless he’s been lying about his age my entire life! ); there was talk for a while of him hooking up as a permanent fixture in Robert Plant’s band, hence the odd gig or two at the Robin, but it never came to anything. That Saturday night residency at the Adam & Eve (and the slightly mellower Wednesday night session) was a really special time, for me and a lot of others by the sound of things – I spent many a happy night there doing things I was far too young to be doing, playing pool and getting stoned while dad shook the walls from upstairs. Some of the music and the vibes that came out of that room were truly special. Packed every weekend to watch the TBB push the limits of Pete O’Neill’s live music license! For anyone on Facebook it’s well worth checking out a page called Cherry Blossom Clinic run by Martin Kinch (I think) – he has an incredible archive of pictures of the Move, including several of dad with Jim Hendrix, Steve Windows, Mick Jagged and various others. There’s even one of dad aged about 19 jamming with Hendrix before a gig the Move and the Experience did together in Zurich. Crazy piecing together your family history through newspaper cuttings and tour posters! That should of course say Steve Winwood, not Steve Windows! That’ll teach me to try and write anything on my phone! Just caught this from an old attachment to an email. I lived in Brum between 1973 and 76. I first saw Trevor playing in the Roger Hil Band at the Railway and then with Steve Gibbons. My flatmate at the time worked behind the bar for Albert and we had a lot of late nights, getting a lift home from a guy called (I think) John Butler, who drove an old black taxi cab. I used to watch the band shoulder to shoulder with Trev’s brother Derek. For a year or so I took the money on the door at the Incognito on Saturday lunchtimes. Once nearly gave Steve a coronary when I charged Noddy Holder to get in. Why not? He could afford it better than SGB could at the time. I have so many memories of that time. Like Trevor I too qualify for that senior citizen bus pass! Supported the move on a few occasions in the 60s with passion Forrest I think the guy mentioned on the sound desk could be Roy lemon he was our Roadie until he started working with the Move .Great times . Really cool to read all the comments. I guess wherever we saw The Trevor Burton Band, Adam & Eve, Barton Arms, JB’s, The Hazelwell, Irish Centre, Red Lion, we’ve just got great memories of such a great band. A time when more people used to go out and support “live” music too. I used to buy the Birmingham Evening mail every Thursday to find out where The Trevor Burton Band was gigging that weekend, no internet back in those days of course! Me and my 3 mates would travel all over the place to watch his band. I was a bit too young to catch the real early days, so the band line up I regularly saw was Trev, Martin Curley, Steve (Dolan), Tony Baylis, Mr C. and also with Roger Hill once or twice, but I think that was after this lineup? I remember the once they were playing in some Rugby or social Club out in outer Solihull, we didn’t have a clue where it was, neither did our taxi driver. So we got dropped off in some country lane and and ended up walking across some farmers fields trying to find the place in the dark. When we eventually found it, trainers and jeans covered in mud, we walked in and it was like that scene from the movie, An American Werewolf In london, where the backpackers walk into that small pub in the middle of nowhere. Talk about awkward! ;)…but Trev gave me a wink from off stage and we just settled down and enjoyed yet another cool gig. Another great night to remember. I personally loved those gigs they played at The Barton Arms in Perry Barr too, the police raided it a couple of times when we were there. The house lights came on and they began searching a few people. I don’t remember anybody ever getting arrested though. Kind of funny looking back, the air was full of the scent of weed and god knows what the band had in their guitar cases etc ;). The good ole days of rock & roll before the smoking ban etc. Everybody seemed happier back then too, people in the audience would talk and mix with each other. Just a great vibe. Probably because everyone was high I guess. Nowadays most people seem to go the Gym and seem far more serious personality wise. I also recall those great New Years Eve gigs at The Adam & Eve as well as the regular Saturday slots. Not sure how many there were? But I’m pretty sure I went to two. I used to live in West Brom at the time and we wouldn’t even bother trying to get a taxi, total chaos on New Years Eve!.., so we’d just walk it back home. All the way through Hockley, Handsworth, to West Brom. I can’t see many kids walking through those areas at 1 or 2 in the morning these days. One thing I do remember from The Adam & Eve gigs, apart from Trevor’s Mom being there the one New Years Eve was Maz Matrenko being in the audience before he’d joined Trevor’s band. I remember this, because I talked to him once or twice. Years later in the new Trevor Burton Band line up with Pex and Bill Jefferson, I got talking with Pez the one night and he told me that Trevor has all the live recordings from his band’s gigs up in his loft! I hope one day, these see the light of day. From other TBB fans I’ve talked too, those are more sought after these days than anything else, even their one and only great album, Double Zero. Maybe the more internet savvy, Ollie (Trevor’s son) will sort them out one day? Get them digitally transferred and get them for sale on the net. I really hope so… I’d happily buy the lot and I think plenty of other fans would do the same. At the time of writing this comment it still hasn’t been made public what his illness is and whether it’s something he can recover from, I’m praying that it is! For some people the likes of Eric Clapton are their guitar heroes, but Trevor Burton is definitely one of mine and I much prefer Trevor’s playing than Eric Clapton. Sure, the other guitarists out there have probably noticed that Trevor’s playing hasn’t been the same in recent years, the fretboard work has been far more milder and slower than back in his Peavey Renown days. Maybe he just to chose to change his playing style a little? or maybe it was enforced by some previous medical condition? Obviously people close to him know what’s gone on. Either way, a musical world without Trevor Burton’s fingers on a Stratocaster guitar is going to be a really sad place. I really hope this isn’t the end of The Trevor Burton Band as we’ve known it. Maz Mitrenko is a fine guitarist in his own right and he’s doing a good job fronting the band, but I’m sure he’d admit himself, that things just aren’t the same with Trevor gone.